Where would the French Riviera be if it wasn’t for its internationally known jet set scene? Part of that scene can certainly be attributed to Anthony and Thibaud, two locals in the region who started with a few exclusive private parties held back in 2005. As it goes with any memorable party, word got out and with little resources at hand this amazing duo utilized their hotel management backgrounds and efforts into providing a consistent stream of gay events held at a variety of venues. Before they knew it, their imaginative and ultra-chic events were in high demand and so with that the Rainbow Power Group was born! What’s refreshing about the Rainbow Power events is they don’t seem to just be trying to cash in on the pink dollar. 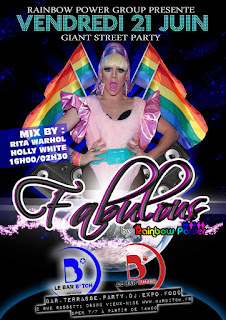 These are intricately planned gay events that are inclusive to everyone, heterosexuals included. They spend a lot of time and effort striving diligently to provide the best in entertainment value at a very reasonable price and do their best to put the French Riviera’s nightlife on the map. 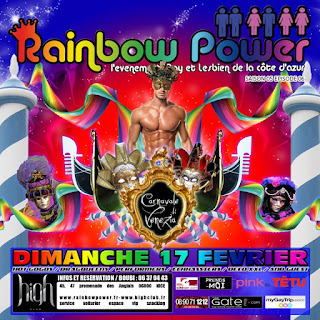 You know when you go to a Rainbow Power event, it’s not just a party, it is going to be an experience. The caliber of their events is unsurpassed and full of inspiration, there is an excess to these parties that take you away from your everyday life. From the hottest dancers, to the intricate light shows, it’s all a feast for the senses. Walking into one of the events is like stepping into another world as the venues are redesigned from top to bottom with no detail left unchecked and they always provide the best music from talented DJ’s and other forms of entertainment. 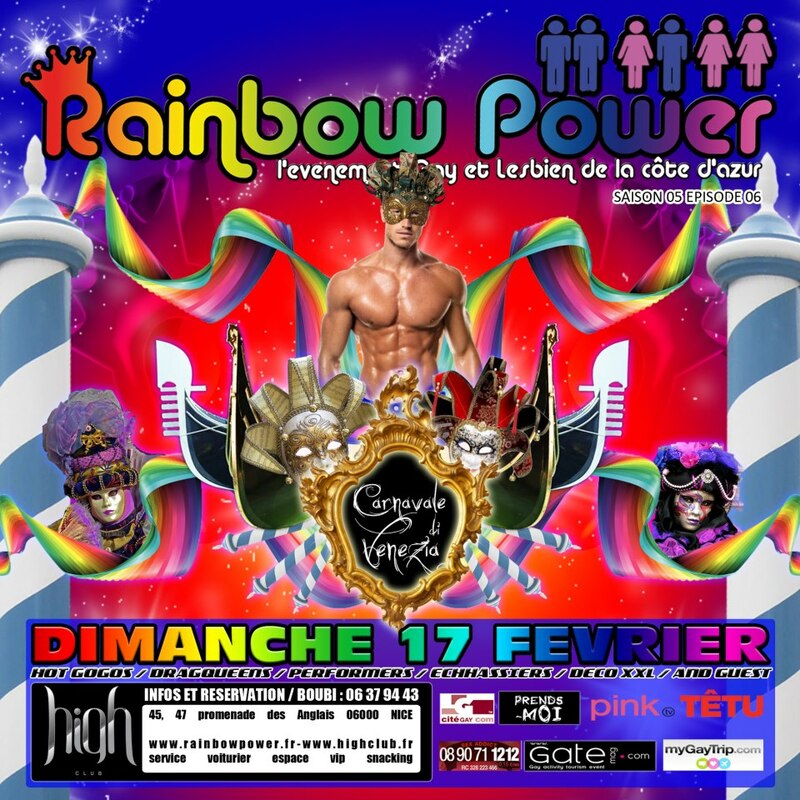 And these boys don’t just keep their act in the French Riviera, having honed their skills for years, the Rainbow Power Group is now one of the biggest event management companies in France, bringing their shows to other places like Bordeaux, Paris and Barcelona to name a few. 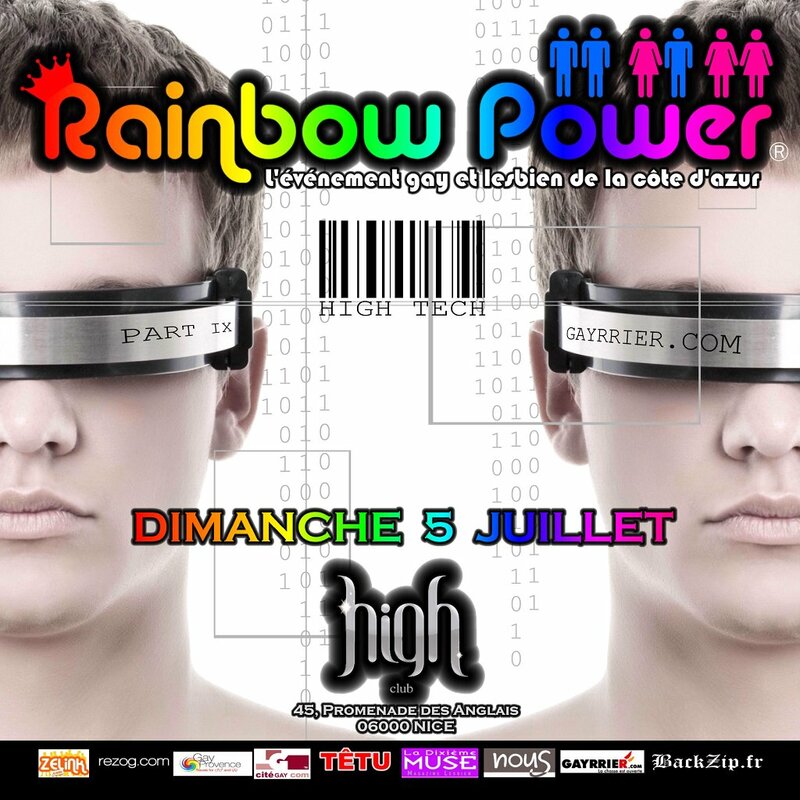 They will even be a huge part of the celebrations at EuroPride 2013 in Marseille this year! As the LGBT community in the French Riviera continues to grow; it’s not without the contributions of the Rainbow Power Group. 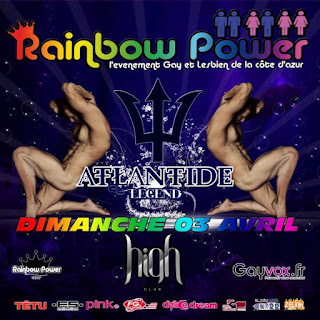 If you are in the region, don’t miss out on one of Rainbow Power’s highly anticipated events.